STEEL FAB SYDNEY is a reliable structural steel fabrication company located in Sydney, Australia. Steel Fabricator Sydney have many years of consolidated experienced of steel manufacturing in Australia. We supply cutting edge, unique, latest and appealing fabricated steel for your project regardless if it’s industrial or residential. Steel Fab Sydney is the name of trusted steel fabricators in Sydney and its surrounding cities. We have exceptionally skilled, competent, certified and supportive workforce to satisfy your desires in steel fabrication and deliver the best based on your need. The team at STEEL FAB SYDNEY are focused on the highest standards of customer satisfaction and outstanding craftsmanship. Our steel experts offer comprehensive professional advice with regards to designs and structure. We are here to give you quality material which is our fundamental commitment. 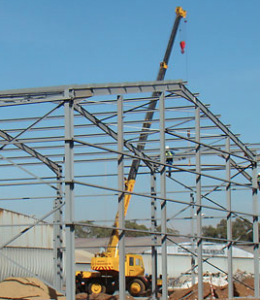 Our Steel Fab Sydney specializes in pipe racks, convey gantries, crusher and screening structures, sections, trusses, purling, frames, grating, conveyor support, towers, trestles, mineral processing plants, ROM bin, bridges, walkways, stairs, platforms, mechanical support steel, handrails, guards, and beams. Our fabrication tools are made for the specific requirements of each client. We certainly have the manpower to fulfill the needs of our customers in numerous ways. Regardless of whether you’re constructing bridges, pressure vessels, sewages, recycling plants or mining facilities, our principal objective is to make an attempt to deliver top-notch services efficiently. Why Choose STEEL FABRICATOR SYDNEY? We are not trying to wow you with our statements we are going to impress you with what we do with steel. Steel fabricator Sydney aim is simply to provide you with a perfect job. At Steel Fabricator Sydney we treat all our clients as VIP and give respect accordingly. Our customers are considered part of the family. Steel fabricator Sydney has an efficient management team. Our management team have been working tirelessly to ensure a smooth running of the company without compromising on quality. We provide our clients with excellently fabricated metal products at affordable prices while satisfying their demands. Steel Fabricators Sydney fabricated products will make you patronize us over and over again.